This past Sunday at Faith Renewed I preached Week 14 of the DNA Series. I taught on the return of Christ this week & had a blast! I didn’t get into all the “pre, mid, or, post-trib” debate… Because, WE DON’T KNOW when Christ will return. 1. 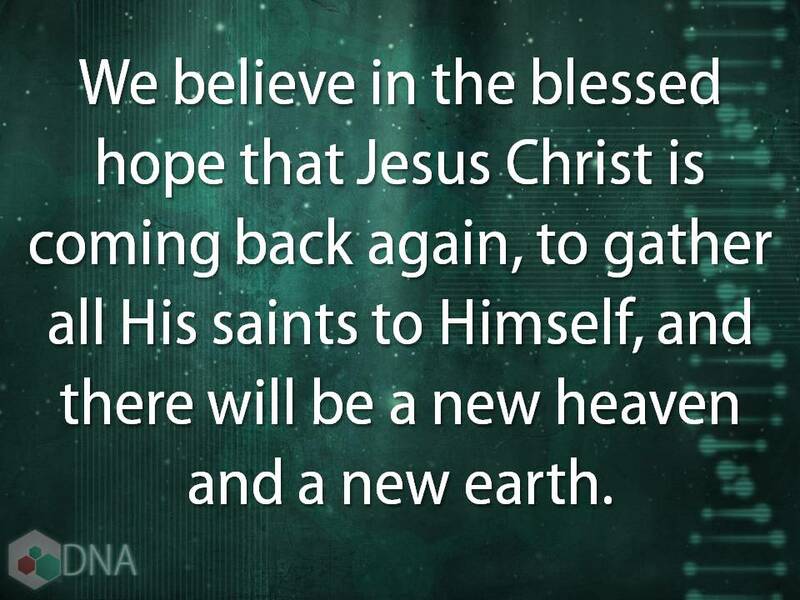 We have the blessed hope that He IS coming! 2. We need to be ready & watchful until that day. 3. We are to work as we watch.